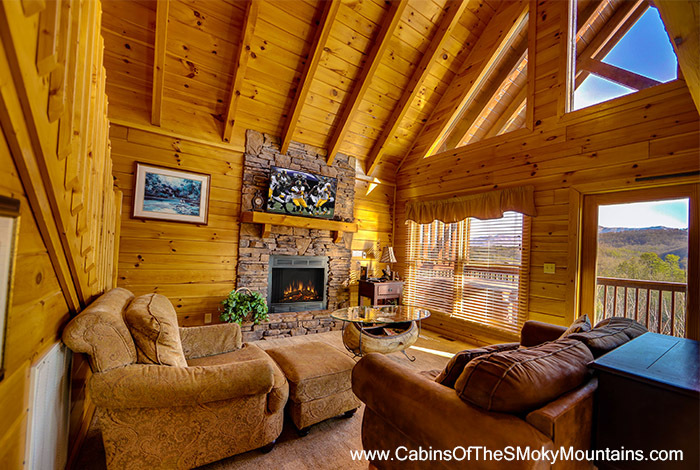 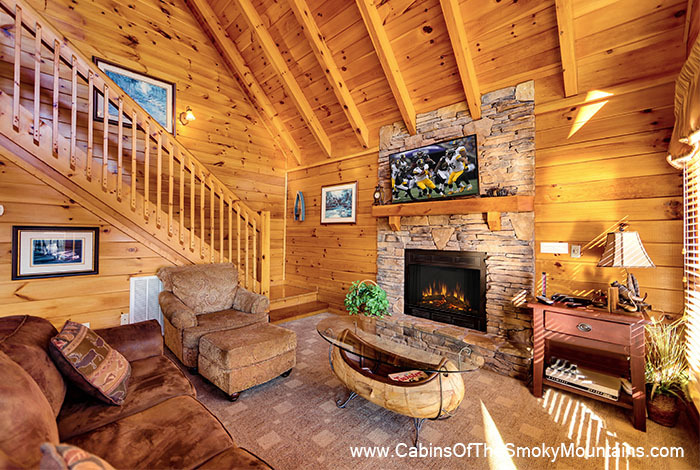 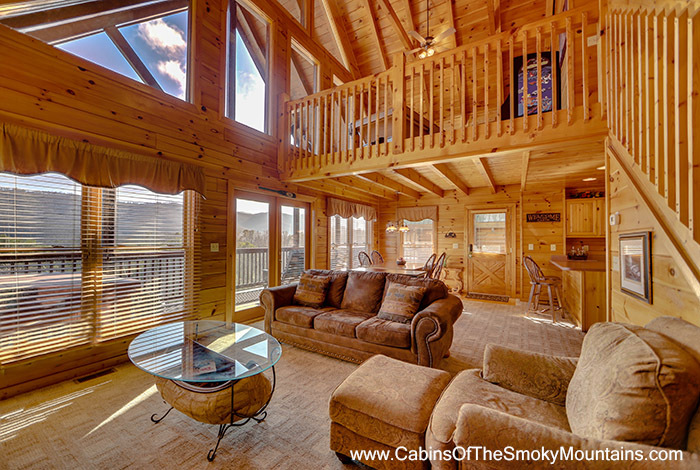 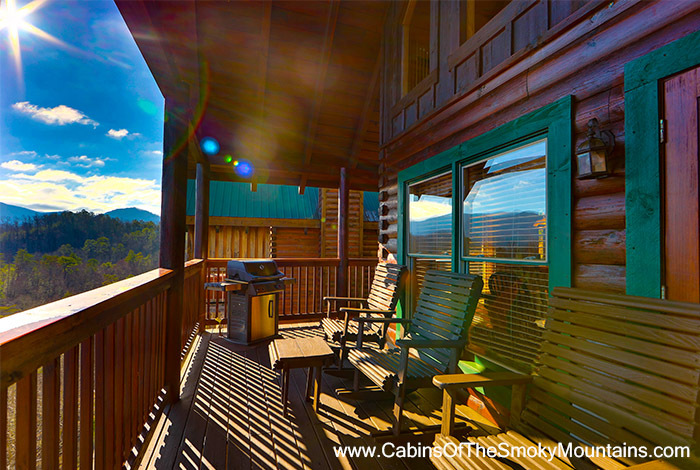 If you're looking for the perfect mountain getaway Audacious is the cabin for you! 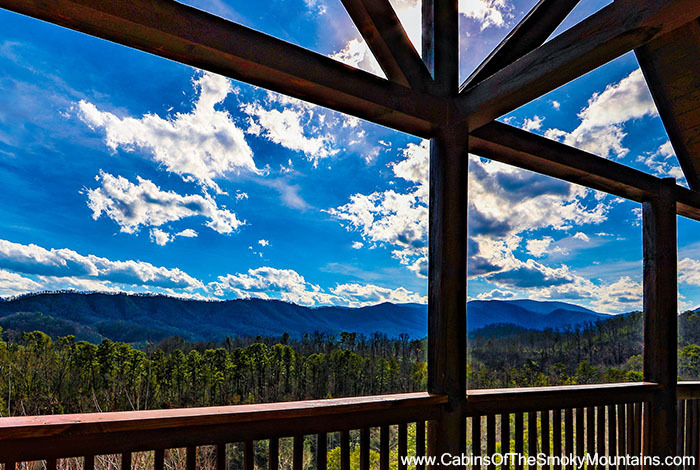 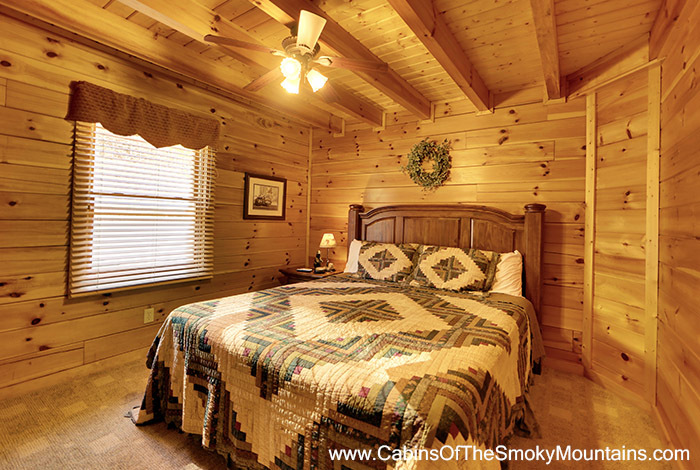 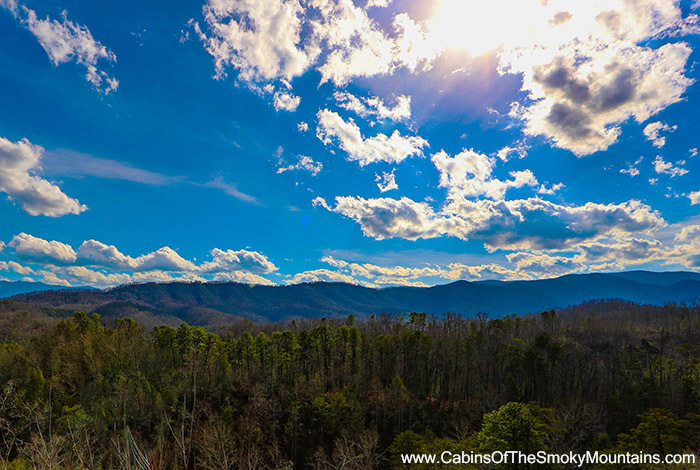 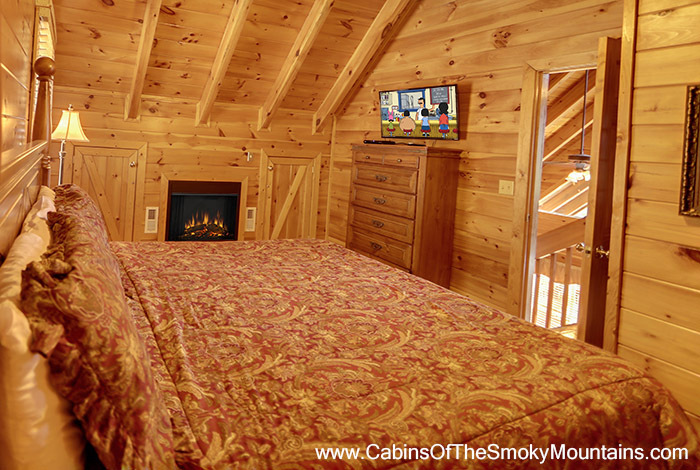 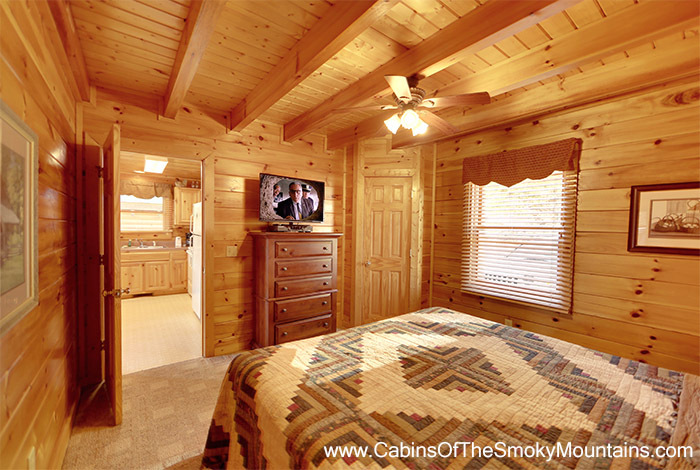 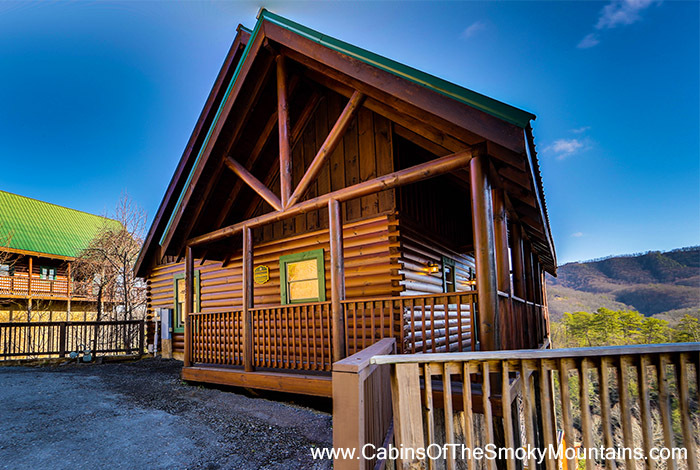 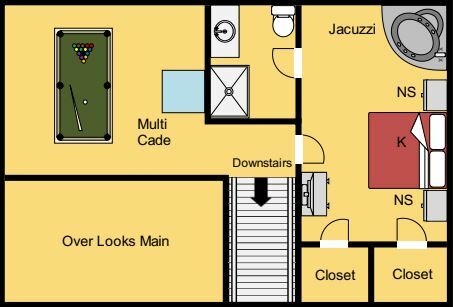 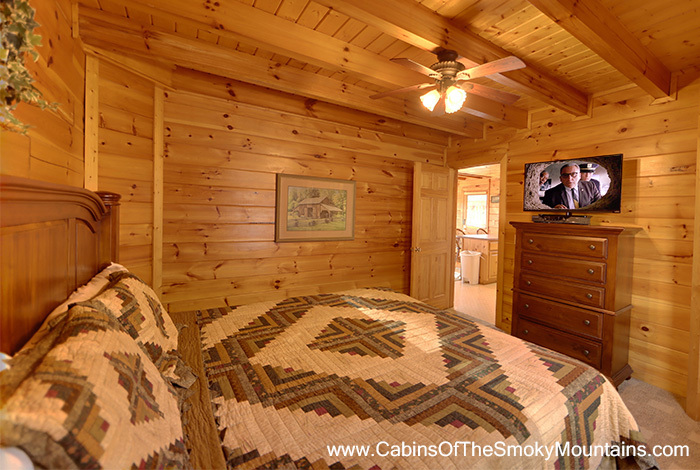 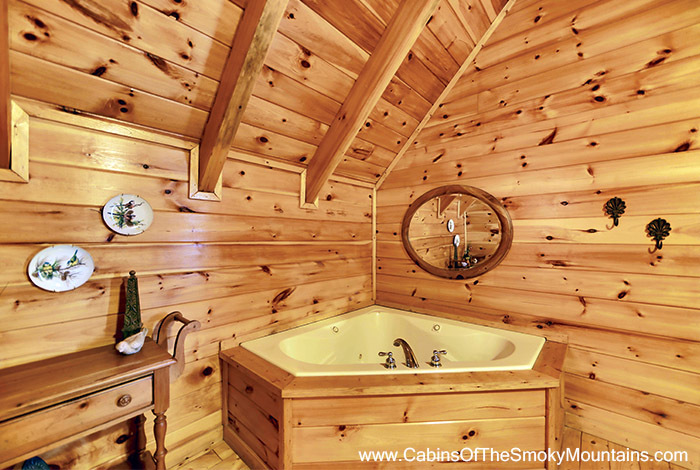 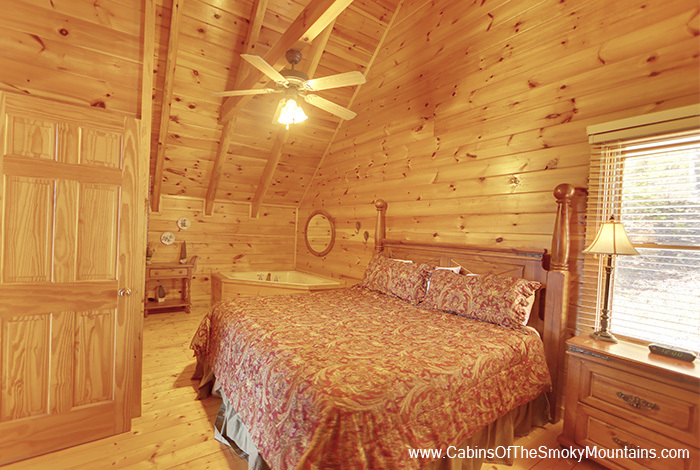 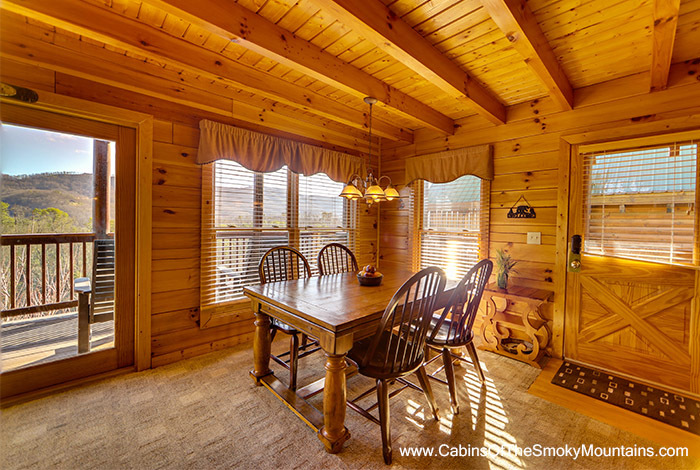 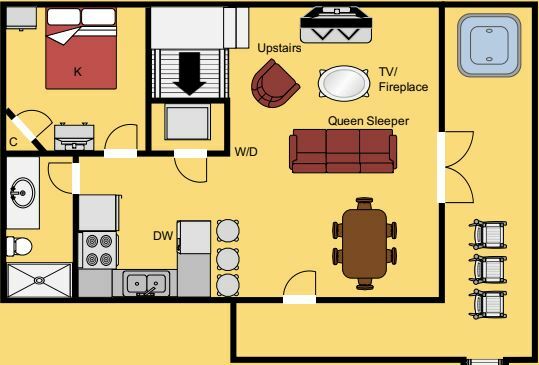 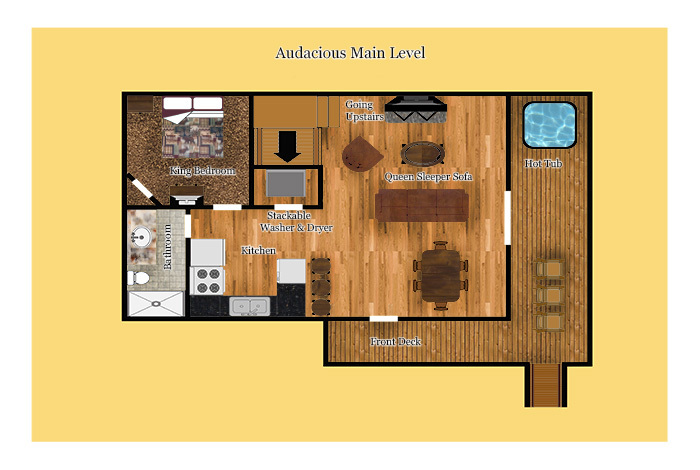 Audacious is a two bedroom cabin in Pigeon Forge with plenty of amenities for you and your party. 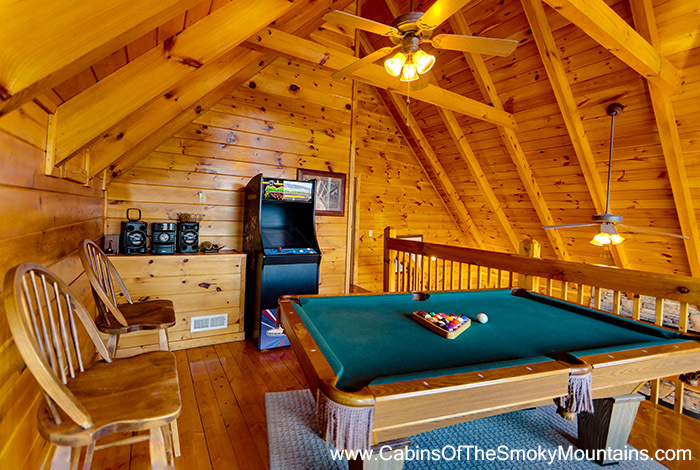 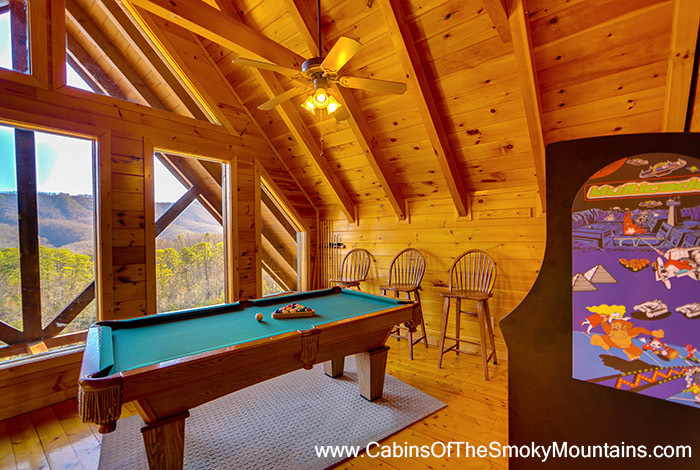 This cabin has a loft with a game room where the kids could have their own space to hangout and play pool and PacMan. 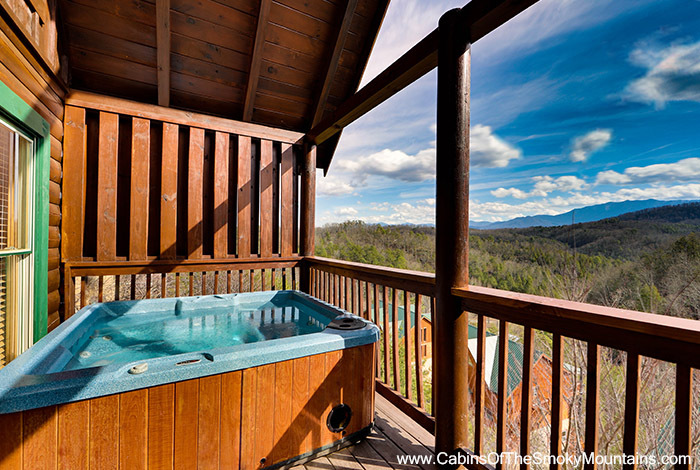 There is also swimming pool access within the resort for the hot summer months, and for during the winter or just those late nights there is also a private hot tub for you to enjoy personally at the cabin. 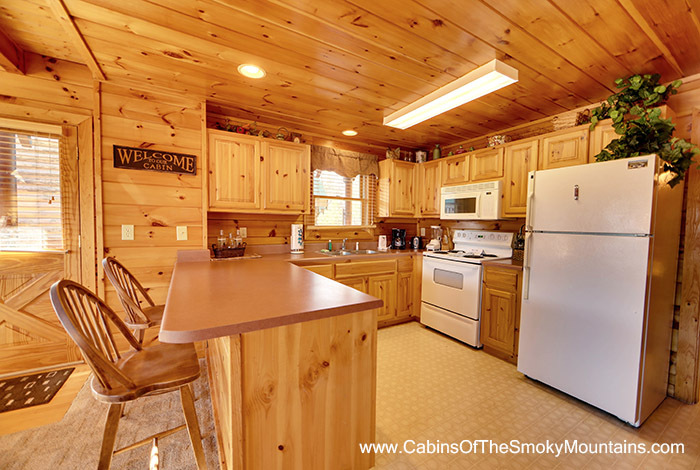 There's a fully equipped kitchen for you to utilize for your family, or there is a gas BBQ grill to have a cook out and enjoy the beautiful mountains with your family. 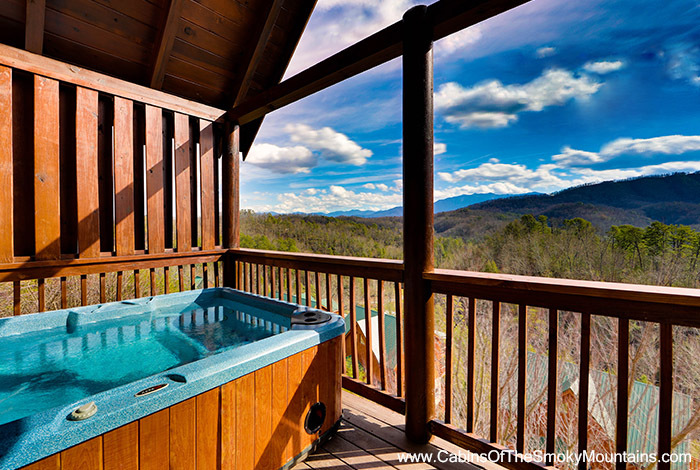 The views are to die for as you can see the mountain ranges for miles. 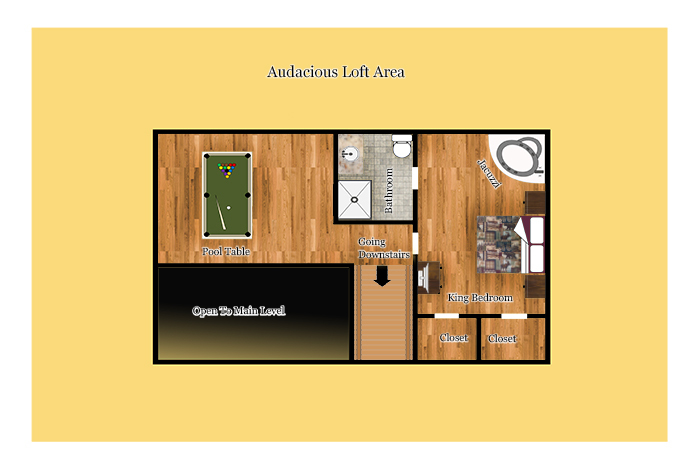 Experience the vacation of a lifetime at Audacious!